Rooting is a process to obtain the super user permissions. This special feature of Android allows us to install applications that are used to customize appearance or extend battery life. It also make it possible uninstall the stock apps or bloatware that came with the operating system. Here in this article, I will discuss how to root your HTC smartphone simply with an app or desktop program. Plus, you can also use this procedure to root any other Android smartphone such as Samsung, LG, Motorola, Google Nexus, etc. On the first, I will show you an Android app to root your HTC device but if you want to know about the desktop program then you have to read this article till the end. Rootable HTC Device: HTC 10, HTC One M10/M9/M8/M7/A9/S9/X9/E8, Desire 825/816/626/612/530/520/EYE, One Mini, One Max, One Remix, Butterfly/Droid DNA/Incredible/Here/EVO 4G, HTC First and other HTC Android devices. 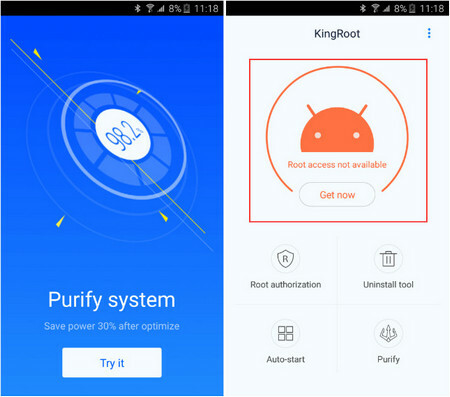 The application that I prefer you to root your HTC device is called KingRoot. In order to install this app, you need to configure your HTC device to run apps that are outside the Google Play Store. To configure this, take your HTC smartphone and simply go to the "Settings", then go to the "Security" from the menu and tap on the "install app from the unknown sources" simply activate the option. From now on we can install applications from outside the Google Play Store. Step 1: Type Kingroot.net on your mobile browser and click Free download button to install the app on your HTC phone. Step 2: Open the KingRoot app on your HTC phone. You will see a blue button appears at the bottom of the app screen. Tap Try it and then tap Get now. Step 3: The app will start to root the phone and you need to wait for completion of this process. This will take a few minutes. If everything goes well, you can go to Google Play Store and download another app called Root Checker, which is an application that will check if you have root privileges on your phone. If you get the root access then welcome or otherwise if you want to use your PC for root access, then read the rest of the article. Step 1: Download and install the Android Root Pro program to a Windows PC or Mac computer. Step 2: Backup your HTC phone with HTC Sync Manger. Step 3: Enable USB debugging mode on your HTC phone and make sure your device have minimum of 25% battery. Step 4: Launch Android Root Pro program on your computer and connect your HTC device with USB cable. And your phone will detect automatically. 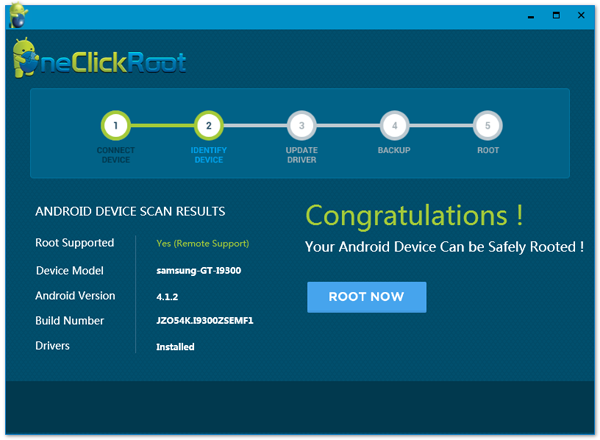 Simply click on "Root Now" button and wait until the rooting process is completed with a successful pop-up message. Note: To root your HTC phone is always at your own risk decision. We just inform you how to do that. We are not responsible for any damages that may cause to your device.